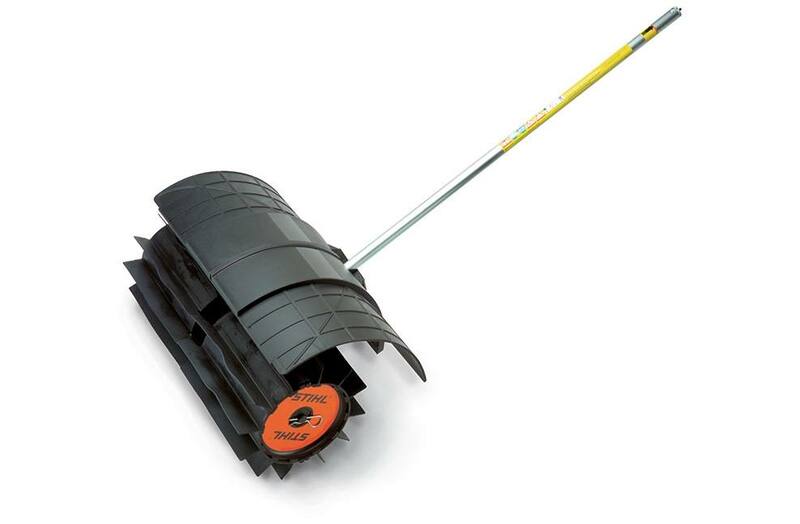 The STIHL PowerSweep™ attachment for the KombiSystem removes caked dirt, pebbles and even water from your path. If it's in your way, politely ask it to leave with the KW-MM PowerSweep™ attachment for the STIHL KombiMotor. Part of the STIHL KombiSystem, this powerful attachment features heavy-duty rubber flaps, acting like a squeegee on steroids. It cleans up caked dirt along roads and sidewalks, moves pebbles and sand from grassy turf, and even removes water and light snow from hard flat surfaces.